Multi-functional sports fields - InterHall Sp. z o.o. 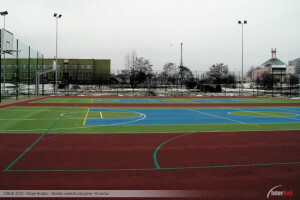 With the current social changes, sport has become part of everyday life for many people. It is a significant element which guarantees physical fitness, health and entertainment. Local authority representatives, sports activists and the government are well aware of that fact. 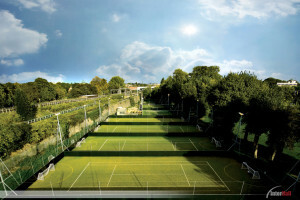 The combination of several sports disciplines has never been easy – tennis is played on short trimmed grass, while football requires a softer turf with longer fibers. 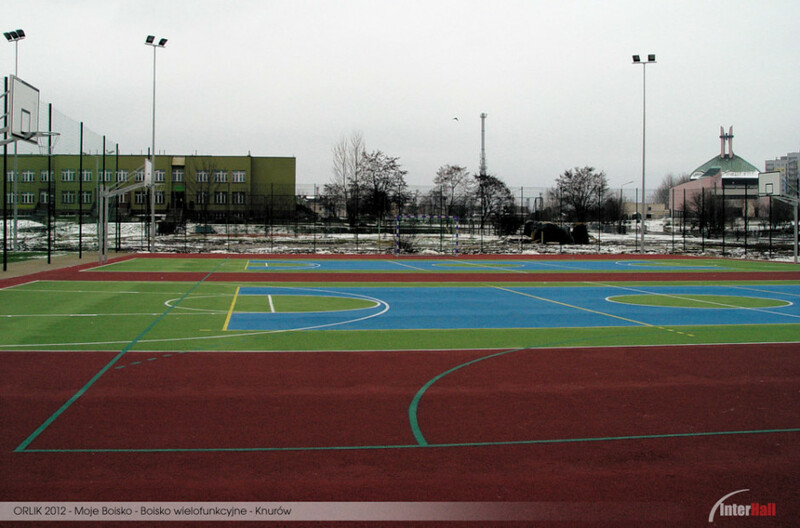 However, the need to create multi-functional facilities to accommodate different sports has led to the development of a multi-functional surface. 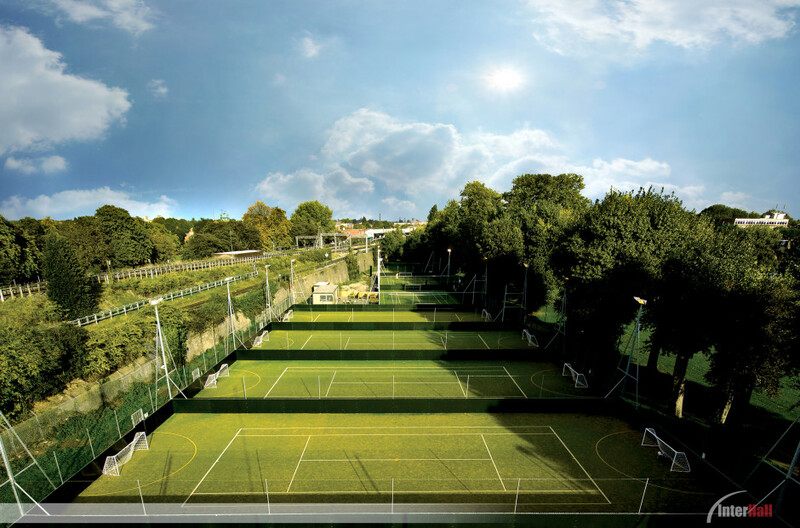 Football, along with tennis, handball, basketball and other team disciplines, can all be played on a multi-functional, artificial grass surface. 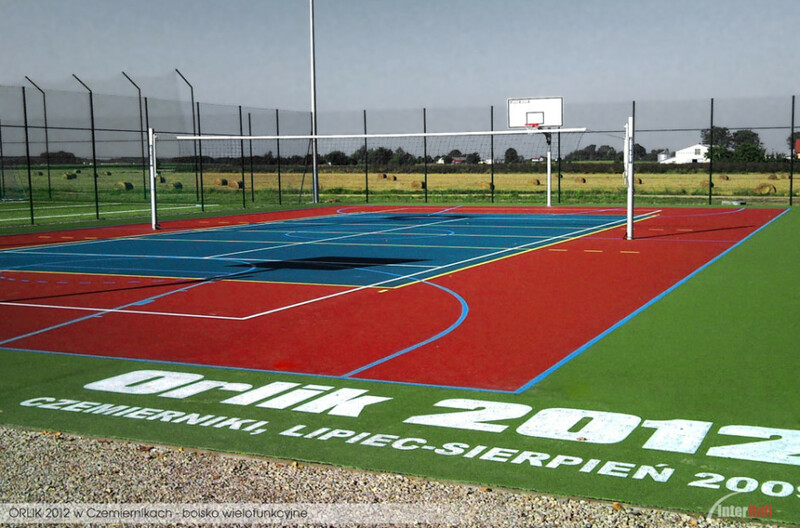 In Poland, multi-functional sports fields made from polyurethane binders and EPDM and SBR rubber granulates are also very popular. The primary benefits of these types of surfaces are their high resilience and elasticity, which translates to safety for users. An additional advantage of these surfaces is their durability and resistance to wear. 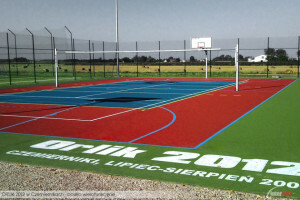 For those reasons they are used in outdoor school and recreational facilities, such as sports fields, running tracks and playgrounds. Spray surface – a dual-layer, water-permeable surface with a thickness of 13mm – the lower layer is made of approx. 11mm of SBR rubber granulate; the upper spray layer of approx. 2-3mm is made from an EPDM rubber granulate. Due to the high resistance to wear, it is an ideal surface for high-intensity exploitation. EPDM surface – a single or dual-layer, water-permeable surface with a thickness of 10-16 mm. These types of surfaces are characterized by very high elasticity and resilience. The foundation under the polyurethane surfaces is made out of concrete, asphaltic concrete or crushed stones, however, in the latter case it is necessary to create an additional ET-type elastic layer (a mixture of quartz aggregate and rubber granulate combined using a polyurethane binder). Our company performs installations of surfaces using professional equipment and highly trained technical staff. All the surfaces we offer have the appropriate attests and certificates. The result is quality leisure time for youth and a healthier, happier community. 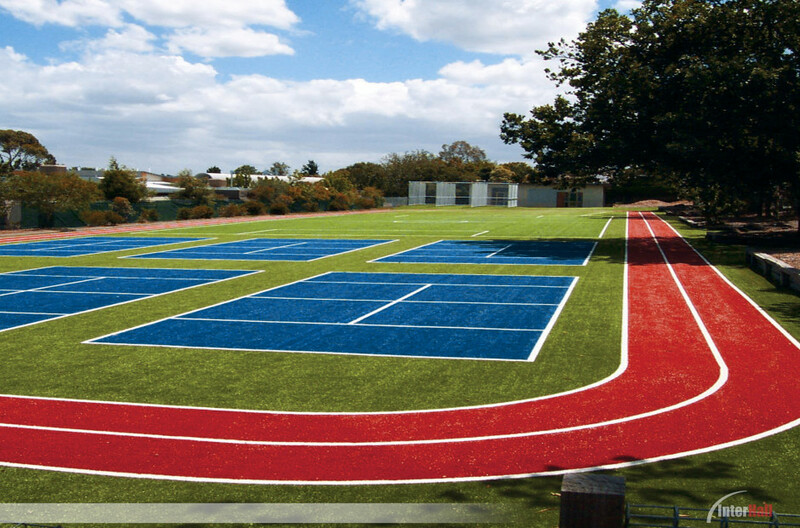 Our products cover the whole spectrum – from economical to high-class multi-purpose surfaces which guarantee a longer field lifespan and better playing conditions. They deliver satisfaction to facility owners as well as users.